Jennifer was born in Toronto, but spent eight years in the Seattle area, which is where all her novels are set. She’s a Seahawks fan but married a Packers guy. They have a young son who looks most like her when he’s crying. She loves writing when it’s raining, sleeping when it’s sunny, and reading after everyone else has gone to bed. She cherishes her family (those who read, and those who don’t), and her friends (those who write, and those who don’t). 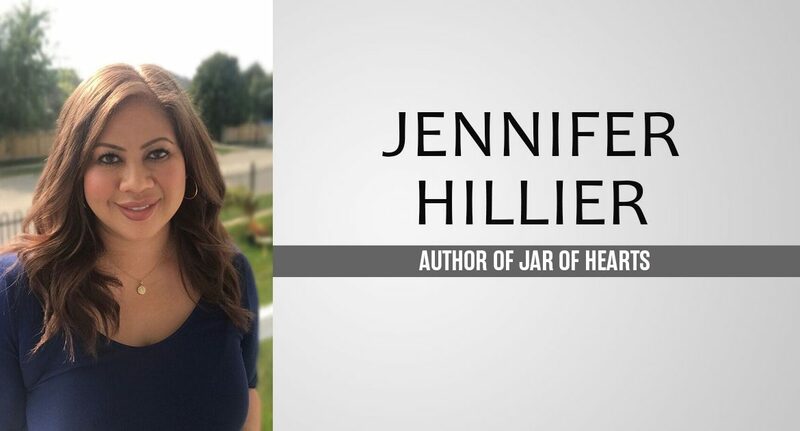 Jar of Hearts is her fifth novel. For fourteen years, Geo knew what happened to Angela. For fourteen years, she carried the secret of Angela’s death. Now Angela Wong’s remains have been discovered in the woods near Geo’s childhood home. And Kaiser—now a detective with Seattle PD—finally learns the truth: Angela was a victim of Calvin James. The same Calvin James who murdered at least three other women. The same Calvin James who was Geo’s boyfriend. You might think you know what happened. But the truth is darker and more twisted than you could guess. My write-in Goodreads Choice Award for 2018! I absolutely loved this book. Dark, tautly written with flawed and real characters, I couldn’t stop reading! I love all things hair and makeup. Half my Instagram feed is following makeup artists, hair stylists, and cosmetic brands (the other half is animals and food). It’s hard to meld writing thrillers with loving makeup, so I don’t even try, but my fantasy job would be to develop my own cosmetic company. I won’t even tell you how much I spend at Sephora (I spend more on makeup than I do on books, which says A LOT, though in fairness I do get a lot of books for free now). I have a ton of writing quirks. My writing process is terribly inefficient. For my new book (no title yet, out in 2020) I finished at 106,000 words. But I kept a file with all my deleted scenes (because I never truly delete anything) that’s over 200,000 words. If only I outlined! Also, I’m very secretive when I write. I don’t like discussing any part of the book with anyone unless I’m forced to. Not even my husband knows what I’m working on until the book in is the ARC stage. Did you always want to be an author? How has being an author changed things for you? Do you still write the same, or is there more/less pressure now? I’ve always wanted to write stories. As a kid, I slept surrounded by all my books – they were a source of comfort for me. I cuddled with books the way other kids cuddled with stuffed animals. The one thing I never knew when I started writing was how much harder it was going to get. It was hard enough writing and publishing my first book, but books two through six have been just as tough, if not tougher, because now there’s pressure and expectation. This isn’t a complaint, just the reality of it. I’m more careful when I write – I’m more aware of not writing myself into plot holes, and I know my strengths and weaknesses (I didn’t when I published my first novel), so at times the process of writing feels easier. But the business of publishing only becomes more challenging over time. The only thing harder than getting published has been staying published. What are some of the jobs you had before becoming an author? How have they helped you in your writing career now? My last day job was a bursary specialist at large university here in Canada. Most of my adult job experience has been in the registrar’s office of two post-secondary schools – I’ve worked in records, financial aid, admissions, awards. If you graduated from Sheridan College in the spring of 2001, I likely printed your diploma and stuck the official red seal on it myself. I would say my university experience helped my first book, because the atmosphere of working on campus was the fuel that inspired Creep (which is about a psychology professor who’s stalked by her student). But the job that helped writing the most was the three years I spent working at a video store in my own college days. Watching (well, mainly listening to) movies all day at work really gave me an ear for dialogue and pace. And discussing movies with customers sharpened my ability to get to the heart of story, and figure out what worked for me, and what didn’t. Stranded on a tropical island, what would be the top three books you’d have with you? If you could recommend one book to my readers that you’ve recently read, what would it be? The upcoming debut novel One Night Gone by Tara Laskowski. It’s about a woman dealing with the aftermath of her divorce who spends the winter at a beach house in a small town, and unravels the mystery of a teenage girl who disappeared there back in the 80s. I totally lost myself in this book – it’s that fantastic. Let’s talk about Jar of Hearts. Where did the idea came from and what inspired you to write it? I remember the thing that inspired me exactly. I was reading an article about Karla Homolka, the ex-wife of the Canadian serial killer Paul Bernardo. Back in the 90s, after they were arrested for the rapes and murders of three teenage girls (one of whom was her own sister), she cut a deal with prosecutors to testify against Paul in exchange for twelve years in prison. cDuring the trial, though, it came out that she was more involved in the murders than they originally thought – and let me tell you, the murders were gruesome. The public was outraged that she only had to serve twelve years. She was in her late thirties when she was released, and then she disappeared from public eye. She resurfaced in a Montreal suburb some years later, married. With children of her own. 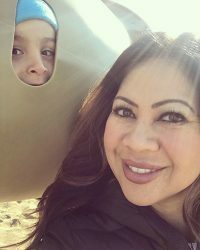 She was volunteering at her kids’ school, attending PTA meetings. It was mind-boggling that this person actually thought she could rebuild her life and be… normal. I was in my teens when the original murders happened, and they’ve stayed with me. So this follow-up piece on her, playing the suburban mom as if she didn’t help murder a bunch of young women back in the day, was fascinating. And that’s when Jar of Hearts was born. I wanted to find out what happened after someone does the horrible thing. Describe Jar of Hearts in three words. What scene did you enjoy writing most? Jar of Hearts is the only book I’ve ever written that I loved writing from the first word to the last. It was just fun, and not all books are fun to write. But my favorite scenes were the flashbacks to the 90s. It was fun diving back into my teenage years, remembering the angst, the rush of first love, the hormones, the music. What actress would you cast to play Geo? It would definitely have been Meghan Markle, but she went and married a prince. So I’d say Shay Mitchell (I watched her in YOU on Netflix and she was captivating). I never know the ending until I write it. Sometimes I have a vague notion of where I think it’s going to go, but ultimately, everything that surprises a reader surprises me, too. You mention on your blog that your first short story was a re-imagining of Snow White and The Seven Dwarfs, where the Wicked Queen dies a horrible death at the hands of an angry and vengeful Snow White. From there to your earlier horror books to Jar of Hearts your style has changed a lot. Was that a conscious change or subconscious? My trunk novel – my first, never published novel – was a horror story, but it made me realize how terrible I am at writing horror stories. There’s a skill to writing good horror that I just don’t have – you have to make readers root for the character who ventures into the haunted house. I think my characters are too flawed to really “root for” – readers often tell me they didn’t know whether they wanted the main character to live or die. But they’re interesting (I hope), which I think is what keeps people reading. I love that your books are set in Seattle. What is it about Seattle that draws you to set your books there? It’s hard to explain why I don’t write books set in Toronto. I’d certainly like to, someday, but there’s a pull that Seattle has for me, creatively. I think it’s because I always saw it as an outsider. I spent eight years living there, and it never quite felt like home. But at the same time, the emotional disconnect made it easier for me to observe, and write about. I’m too close to things here in Toronto – I don’t know that I’m always able to see the beauty of the place I grew up in. I take it for granted. Seattle, on the other hand, is romantic to me. The bustle of Pike Place market. The salty smell of Puget Sound. The morning fog. The Cascades. The passiveness of Seattle drivers (who are the slowest and most timid drivers in the world). The dirty looks I always got from Seattleites whenever I carried an umbrella, or a Starbucks cup. The excellent Thai food and sushi. The terrible Chinese food. I miss it. Are you working on a new book? Can you tell my readers a little about it, a blurb, potential release date, etc? Where did you get the idea? I’m superstitious and can never talk about my book until it’s well into production! I just finished the draft of the new book, and am still waiting on notes from my editor. I can say it will be it will be another standalone psychological thriller, and the release date is winter 2020. This book sounds very good, I’d love to read it. And it’s so interesting that you keep you writing/book secret until it’s in its ARC form. This book sounds so intriguing, it is definitely on my to be read list. Thanks for the opportunity to get a copy. Shared on twitter joined the book club I really enjoyed the interview .and the book look wonderful I hope I get the privilege to read it.